Established in 2007, Building Excellence, LLC is a full-service general contractor serving Southern Arizona. With a long history as a solid industry leader in Tucson, BE offers a combined construction portfolio of over 75 years in the construction industry. Architects and clients alike have praised our reputation as efficient and professional general contractors. Building Excellence survived the economic downturn by basing their success on responsible fiscal strategies and solid industry relationships. This team is trained in critical thinking through the processes of building, from the client's vision, through design inception, to project completion. Each of us has an in depth understanding of each other's skills and strengths, complementing each other to provide our clients with a core of professionals who manage and build projects skillfully; projects of high quality; and projects built on time and on budget. For us, client service transcends all other contributors to the success of a project. Scott Pottinger Custom Homes, Inc.
General Contractor based in Tubac, Arizona. Qualified and obtained Arizona Residential and Small Commerical General Contracting Licenses in 1980. Thereafter started Scott Pottinger Remodeling & Construction; subsequently incorporated as Scott Pottinger Custom Homes, Inc. in 1992. Very large portfolio of completed projects throughout Southern Arizona including: Tucson, Oro Valley, Tubac, Rio Rico, Sonoita, Patagonia, Nogales, Arivaca, Green Valley/Sahuarita, and Arivaipa Canyon. 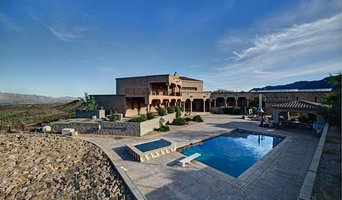 Interim experience includes employment as a Commercial Project Manager and Commercial Project Superintendent on public and private projects in Tucson and Phoenix, Arizona; founding Scott Pottinger Home Inspections LLC; Construction Manager for the tenant improvement of Nickel's Diner currently doing business in Rio Rico, Arizona. Decisive leadership with earned respect and proven success, exceeding client expectations, while consistently upholding high business ethics and values. You and your family deserve a more comfortable, attractive, and functional home. Request the services of Complete Kitchen & Bath, a remodeling contractor in Tucson, AZ, to make over your kitchen or bathroom. 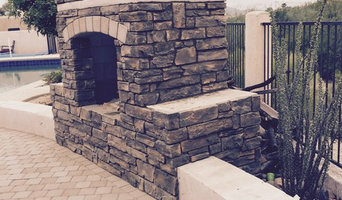 Our licensed remodeling contractor even improves the outside of your property with hardscaping. Turn to the best of the Tucson remodeling contractors for more than 20 years of experience, quality craftsmanship, and guaranteed workmanship for your renovation project in Tucson, Marana, Oro Valley, Catalina, and Tortolita, Arizona. Contact us today to receive free design services for kitchen and bathroom remodeling. Andrew Dennehy Architect PC is a small architectural design and drafting company in Tucson Arizona. 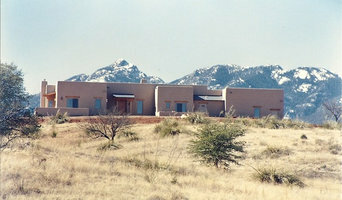 I am an experienced local architect in Tucson for over 25 years. I would like to bring my experience, knowledge and valuable resources to you for any new home, addition or remodel project. From design through building permit and construction I personally oversee every phase of each project. I approach every project with enthusiasm, professionalism and dedication. 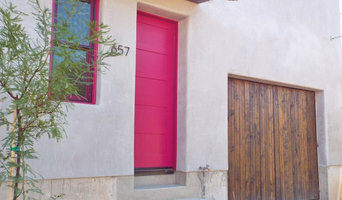 I have successfully completed many custom and production home projects throughout the Tucson area. I specialize in working with builders to provide a clear and complete set of plans. So whether you are a home owner or builder please contact me for a no cost project evaluation. Home PLANiT is not a general contracting firm, we are an architectural design & project management firm serving as the homeowner’s liaison, and often as the homeowner’s advocate, to ensure that the home design and our client’s projects are well-represented, kept on-schedule, and on-budget. Sometimes working with a contractor can be confusing. We talk to the contractor for you and make sure they are fulfilling the terms of their contract. We keep you updated on your home project, so you know what is going on at all times. Contractors also typically compile a project budget using sub-contractors who submit bids directly to him – so you, the homeowner, have little to no control of the costs and very likely no idea who will be working on the project, how long they will be there, or what the content of the contract is between the general contractor and sub-contractor. Our budgeting is transparent so our clients are able to see how project funds are being allocated. Our clients also have the option of compensating each trade directly. A general contractor CANNOT offer this option. If you are thinking about hiring a general contractor, or doing an “Owner/Builder” project, we can help you make the right choices. We can provide help with: architectural design, engineering, administration, productivity, building codes, construction management, contractor/tradesmen recommendations, building materials and much, much more. Since 1996, we've been working hard to provide the best Remodeling Services to our customers in the greater Tucson area. We take pride in every project we do, which can range from a 2-story Addition, newly Remodeled Kitchens and Baths, to cozy Outdoor Living Spaces. We are always eager to take on new challenges towards meeting each clients individual needs. Constantly striving to deliver the value, quality and professionalism others have come to expect from our company. Our aim is to create a new space that meets, if not exceeds your expectations. We invite you to contact us with any of your home remodeling needs or questions. We are here to serve you and provide you with the best building experience possible. Design Build Consultant offering services from conceptual design to construction documents, budget development, value engineering, project management and Owner- Builder empowerment. Caliber Custom Builders, LLC is definitely a different sort of contracting firm. We feel our job is to provide clients with the finest design and craftsmanship possible, and that all begins with a commitment and caring attitude toward our work. Since inception we have pressed the importance of quality, detail, and safety - that is what sets us apart from other contractors and builders..
Sun Earth Builders is a construction company based in Tucson, AZ. We are a licensed, bonded and insured general contractor and builder. We provide home remodeling services, custom homes and house additions for our residential clients. Our commercial team provides tenant improvements, redevelopment and new construction buildings. As a general contractor we handle all aspects of construction from design to build in all aspects of commercial and residential construction. We understand your time is valuable. We arrive on time for quotes and projects. We strive to provide all your home repair and remodel services under one roof. Our customer service focus on valuing your time and being a one stop shop for your projects. Beyond Paint is focused on providing high-quality service and customer satisfaction - we will do everything we can to provide excellent value and quality service. With a variety of offerings to choose from, we're sure you'll be happy working with us. Look around our website and if you have any comments or questions, please feel free to contact us. We hope to see you again! Check back later for new updates to our website. There's much more to come! We are "Builders" consultants, designers and installers. If you have an idea, drawing and/or plan for your living environment, we can assist you in making it your reality. We consult, design and manage the construction of residential homes, remodels and additions. ISL Development and Construction, LLC builds and develops assisted living neighborhoods and homes. We developed, financed and built the Villas at Houghton, a nine-home assisted living neighborhood on Tucson's east side, and is in the process of building The Villas at Green Valley, a ten-home assisted living neighborhood. Bill Dycus is the principal developer and contractor. With more than 20 years experience in land planning, development, construction and finance, Bill is able to assess the feasibility of not only assisted living projects, but most other ground-up development projects. Bill built more than 100 custom and semi-custom homes in Pima County, developed large plats for national homebuilders, and as a principal, structured a complex land sale to Tucson non-profits specializing in affordable senior housing. If you would like more information about working with Bill Dycus or ISL Development and Construction, call Bill at 520-400-7863. If your property in Greater Tucson has seen better days, you can turn to Disaster Prevention Services for damage repair assistance. We'll get everything cleaned up as we remove toxins, debris, dirt, and dust from your space, and we'll aim to give you a final result that you can really appreciate. We have over 10 years of experience, and we're accredited with the Better Business Bureau. Our company is fully licensed, bonded, and insured, and we're proud to be a locally owned and operated business. We work in many fields, including: Disaster repair Water damage Fire damage Disaster restoration The professionals at Disaster Prevention Services, which is based in Tucson, AZ, can be there for you if you've been through an unfortunate experience. Call us to schedule our damage repair service. We're available every day, by appointment, and we accept cash, personal check, MasterCard, Discover, and Visa as payment methods.